Online advertising can mean life or death for an e-commerce merchant. Advertising can be a way to increase sales as well as a source of fraud. Fraud resulting from unsavory affiliate marketing techniques increases the likelihood of chargebacks and revenue loss. Our Affiliate Fraud Alerts helps merchants identify campaign threats before they become liabilities. Using stolen card information to facilitate illegitimate affiliate sales. When the cardholder learns of the unauthorised transaction and files a chargeback, the merchant becomes the victim. Unscrupulous affiliates will make promises the merchant can't keep. When consumers learned they've been duped, they file chargebacks. The Chargeback Company’s Affiliate Fraud Alerts are designed to detect and prevent the most commonly perpetrated forms of affiliate fraud. A Word of Warning: Even if your business isn’t experiencing affiliate fraud-induced chargebacks, your profitability is still in grave danger. There are different types of affiliate fraud—some result in chargebacks and some don’t. Even if these transactions aren’t disputed, the fraud can still destroy your business by stealing revenue and profits. Let The Chargeback Company show you how Affiliate Fraud Alerts can protect your bottom line from all types of revenue-stealing fraud. Each instance of affiliate fraud brings increased risks, costs, and penalties. In fact, experts estimate every £1 of fraud actually costs the merchant £2.46. Revenue Loss. Chargebacks forcibly remove funds from the merchant’s bank account. Because the merchandise in question isn’t returned, all future profitability is lost as well. Chargeback Fees. Each chargeback is accompanied by a chargeback fee. The price the merchant pays depends on the processor used, the merchant’s ratio of chargebacks, and other factors. Generally, the merchant can expect to pay between £15 and £100 for each transaction dispute. Unearned Commissions. Each affiliate sale involves a commission. If affiliate fraud results in chargebacks, the merchant must pay commissions that weren’t legitimately earned nor led to a viable sale. Forfeited Processing Rights. If chargeback rates become excessive, a merchant can lose the ability to process card payments. Processing rights will be revoked if the merchant is perceived as high-risk, which often results from increased instances of affiliate fraud. An affiliate marketing campaign will only successfully increase revenue if merchants are able to identify campaign threats before they become liabilities. We run diagnostics on each affiliate order and red-flag potential fraud. This gives merchants a chance to verify the order and decline any transaction that could ultimately lead to a chargeback. We help merchants distinguish legitimate, profit-yielding transactions from chargeback-inducing affiliate fraud. Affiliate Fraud Alerts™ reduces the chance of paying unearned commissions to unsavory affiliates. We use proprietary technologies to evaluate affiliate marketing techniques, identify intentionally fraudulent activities, and advise merchants against working with fraud-committing affiliates. What makes The Chargeback Company’s Affiliate Fraud Alerts™ the superior product for fraud detection and prevention? Our reporting system is extremely simple, transparent, and cost-efficient. Other service providers will charge extra fees for access to a fancy online interface with customised settings that hardly any merchant will know how to use. These features might seem impressive, but our market research reveals that few, if merchants consider them applicable or relevant. We remove the guesswork. We provide easy-to-understand, totally transparent data. Our mission is to keep things simple, report what’s relevant, and charge as little as possible for workable results. Affiliate Fraud Alerts are easy to implement and use, with virtually no training required. Sign up and let The Chargeback Company manage your fraud issues with our famed end-to-end accountability. We’ll handle the fraud; you grow your business with peace of mind. We don’t make it a practice to dispute orders based solely on automated results, which have been linked to 72% false positives. Affiliate networks don’t consider us an enemy to their profitability. We understand that campaign sustainability requires a profitable balance between sales and operations. False-positive results are an enemy to both the merchant and network. Affiliates are smart; their tactics can easily evade detection by standard automation. Only human analysis can locate fraud rings that continue to go undetected by other systems, harming rebill numbers and eventually turning an otherwise profitable campaign to a losing proposition. Affiliate Fraud Alerts identify these culprits and help stop them in their tracks. Our technology and strategies reduce fraudulent traffic that risks profitability for both the merchant and network. There is no way to get the same results without the level of human analysis The Chargeback Company offers. 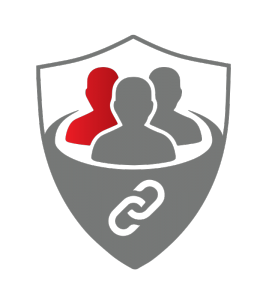 Contact us today to learn more about Affiliate Fraud Alerts. Regardless of the size of your business or your affiliate marketing campaign, we can help optimise your advertising efforts, reduce risk, and turn potential liabilities into profit sources.